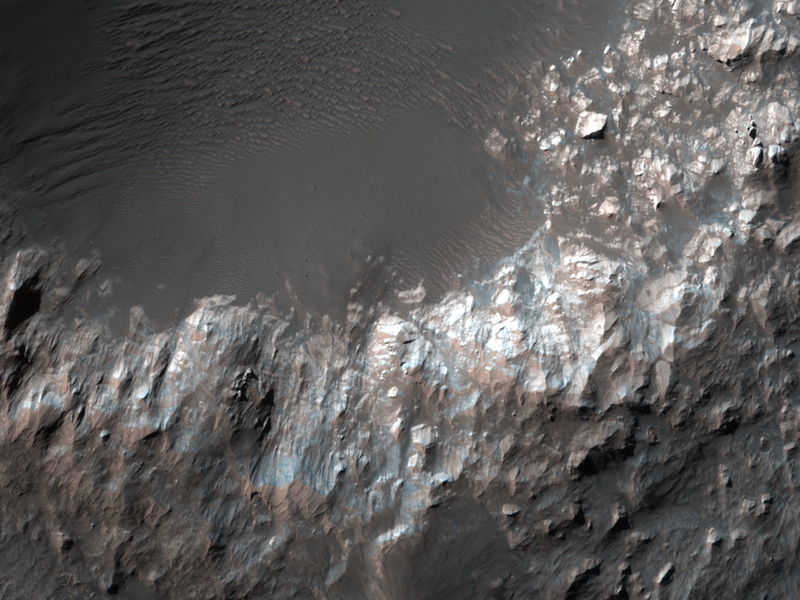 This image covers a portion of the northeast inner wall of Columbus Crater, located in the southern hemisphere of Mars and is approximately 100 kilometers (60 miles) in diameter. Layered sedimentary rocks are found on the crater walls and floor, and may have been deposited by water or by wind. These rocks have subsequently been eroded to expose their successive layers in cross-section. The near-infrared spectrometer CRISM has revealed that these layers contain various hydrated minerals. Visible here is a north-facing slope (roughly 250 meters, or 800 feet, across) exposing finely layered sedimentary rock. 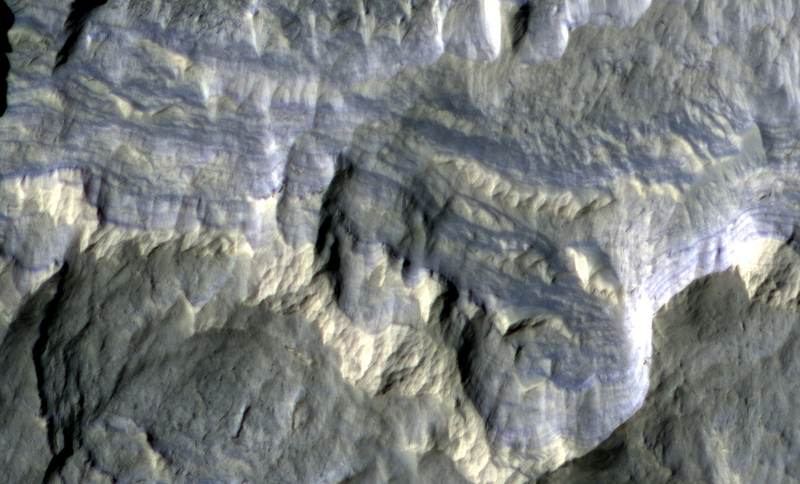 In this false-color view, layers with a dark blue appearance may be intrinsically darker, or may have a texture that more effectively collects dark sand particles, than adjacent layers with a brighter appearance.